Looks great! All I can say is that you seem to have way more patience than I do. Guess I'll have to cultivate that mind set if I want my efforts to look better, though I have spent much more time than I thought I would on the Triceratops currently taking up space on the study desk / workspace. My wife can spend absolutely ages one of her wildlife paintings and the effort pays off in the end result - you'd think that I'd learn from that - too many distractions I guess. There are a lot of talented sculptors on the Forum which has inspired me to have a go in the first place - not as easy as some of you guys make it look though! The results are worth the effort, I think. Look at that piece! The individual scales add this little touch of realism by being more naturally irregular and giving you more control than if they were stamped. Some people do wonders with stamps, don't get me wrong. I just find individually sculpted scales, when possible, to look generally better. I call the sculpture of the Borealopelta finished now. It took me longer than I thought it would. Part of the problem was the hot weather lately, which let the clay become very soft and sticky. That made it quite tough to sculpt fine details. I will probably refine and add some finer details once I take the sculpture apart for mold-making. But first I will construct a base for this fellow to stand on. It’s beautiful. I’m following this process with great interest and admiration. Many thanks, guys! Your feedback is really invaluable for me and I´m glad, that this whole process is of interest for you. The amount of detail is amazing. 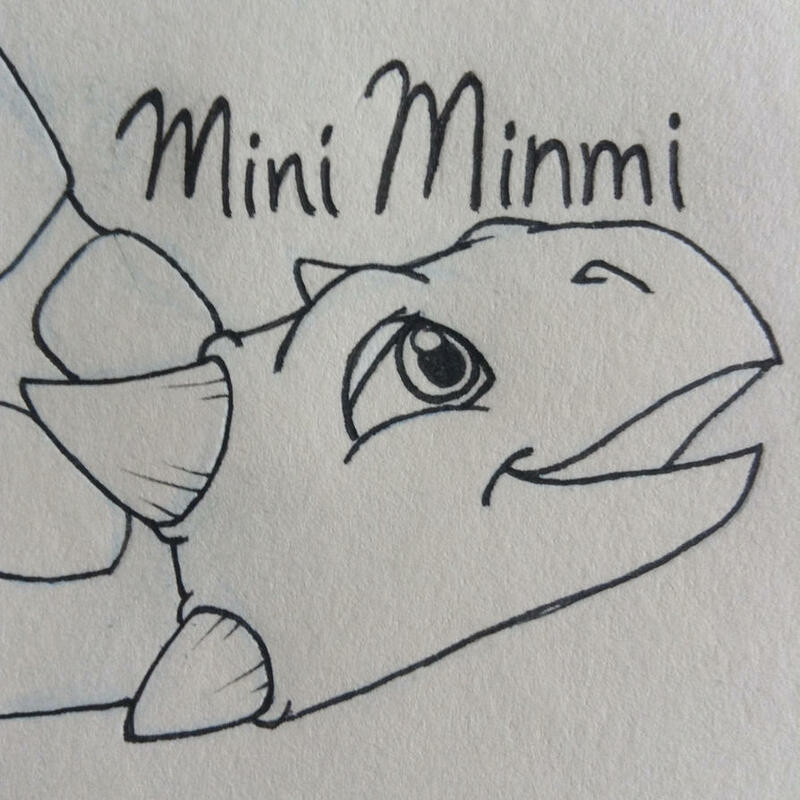 I really like how you position the feet, they really convey natural movement, and shows the weight of the animal. Thanks! I´m glad you see it that way! To make the sculpture look as if it was frozen amidst movement is probably the hardest part of sculpting after all. And the thick skin of this animal makes it hard to show tensioned muscles and sinews. Gosh, that's a bit tasty. 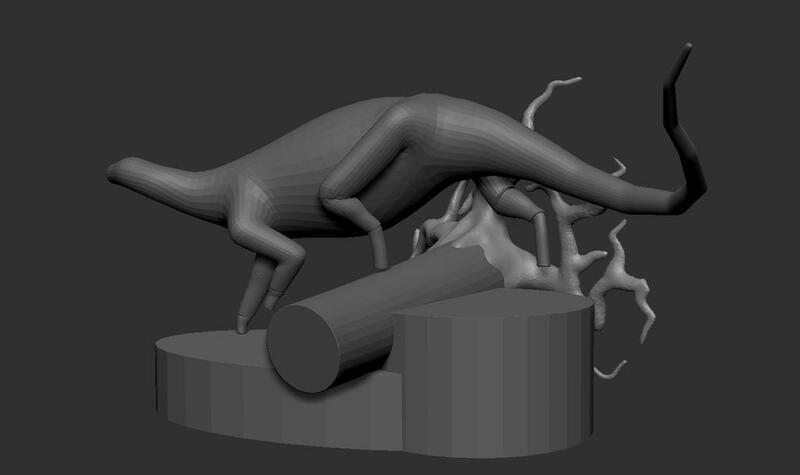 Is there any kind of armature for the long spines? Or just clay? Thanks! No, there is no armature. They are not that big, the shoulder spine is just a bit over 2 cm. The clay has a medium hardness, so it holds up quite well. Although I was a bit concerned about the hot weather a couple of days ago, as the clay became much softer than usual. Would you mind telling us the approximate length of the model, please? A straight measured line from the tip of snout to tip of tail (i.e. not following its body, just cutting straight across) would be fine, just to get an idea of size. Of course! Measured straight from snout to tail tip, it´s ca. 21 cm (8.3 in) long. The body length along the spine would be ca. 27 cm (10.6 in). Thank you. A good display size, not too big and not too small. What material do you use to cast? Does it result in a brittle figure like a shapeways or resin figure or is it more like a solid hard plastic somewhat similar to the Invicta figures? Thank you! I use a Polyurethane resin to cast my models. It´s definitely not as impact-resistant as an injection-mold plastic, but it holds up quite well. It does take some effort to brake a piece of it! It also bends to a certain degree before it starts to break, just like other plastic would! Though I wouldn´t let the kids play with it, but normal handling is no problem at all. Hello fellows! I could need some advise here! 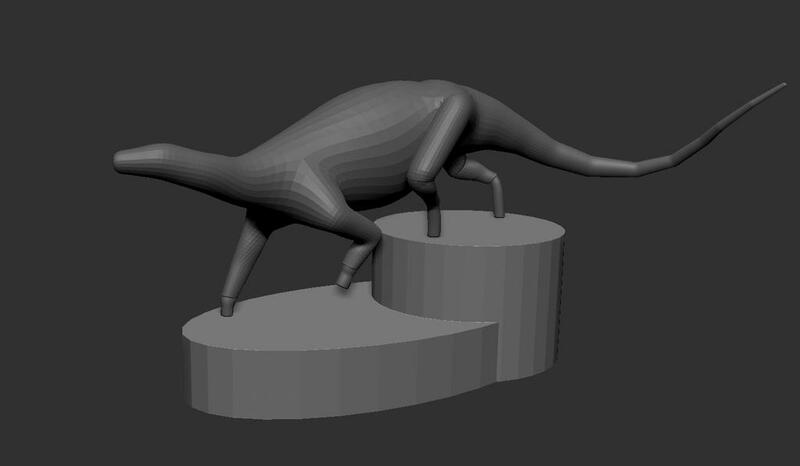 I´m currently working on the base for the Borealopelta and I just cannot decide, which direction I wanna take. First option would be a rather simple design. 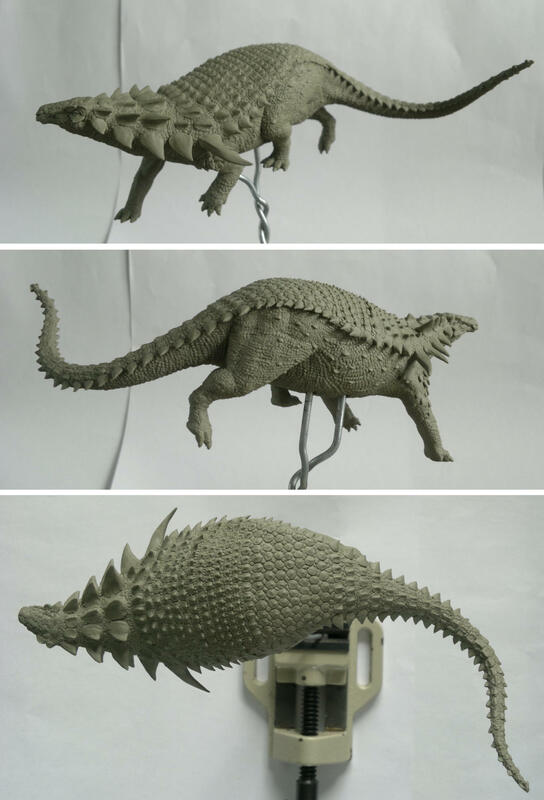 It would be easy to mold and cast, but wouldn´t add much visual interest to the whole model. 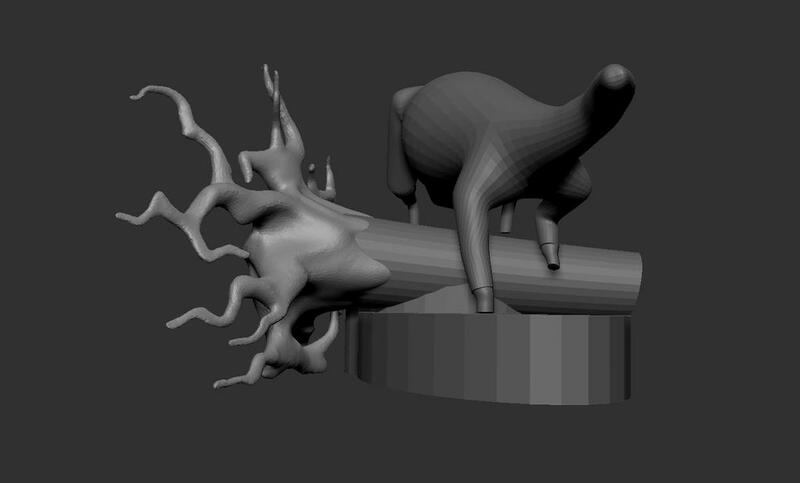 The second version I sketched out adds an uprooted tree to the whole scenery, which definitely looks more interesting and also offers greater potential for model builders to customize the model (for example ferns and moss etc. could be added to the root-system). The effort in regards of molding and casting would of course be higher, but it might be worth it. Of course these are all just sketches to test the overall design. They will eventually be printed out and refined with clay, like I did with the Borealopelta. There also was a third version, which I discarded already, because it would just have been to big and complex. It would have included a whole tree with a bigger branch reaching over the animal. 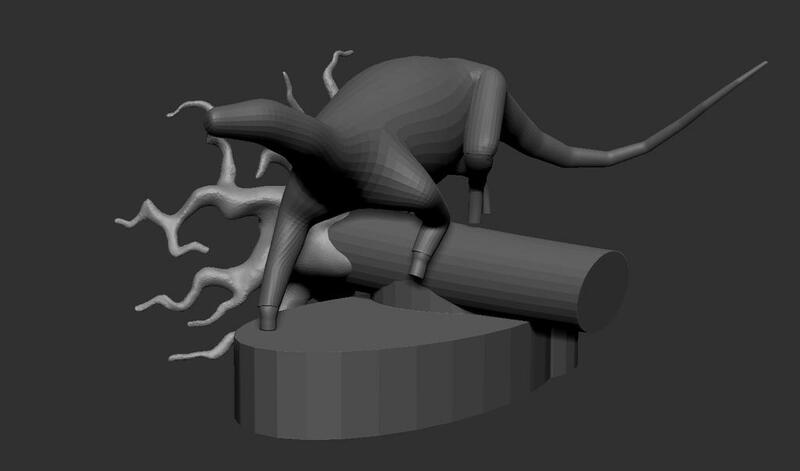 The second version with the uprooted tree could be designed in a way, so that the customer can decide whether the root system is supposed to be on the left or the right side of the animal. I chose the right side here, because I think it looks a bit more balanced composition-wise. This picture shows version one. A pretty simple design. Of course I would add rocks and stuff like that with clay later on! Or it could also be kept plain and simple with only a bit of texture, to keep the focus on the animal itself! 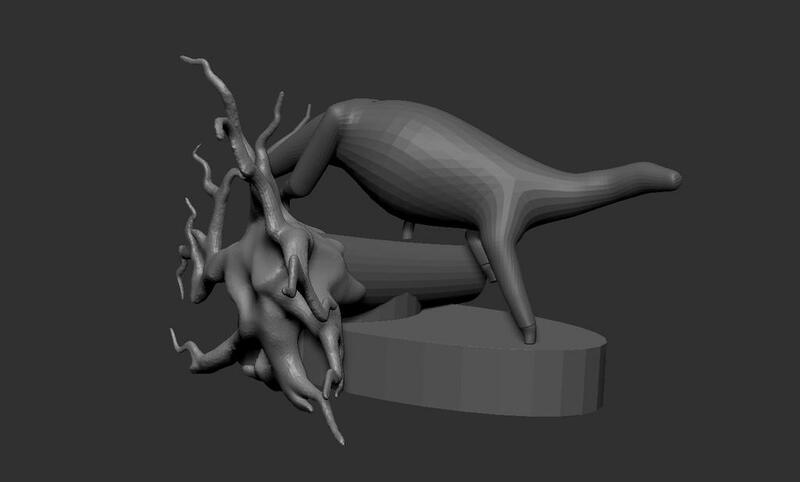 Here is the more complex version with the uprooted tree.